Most tires need to be rotated every 5,000 to 7,500 miles, but you should consult your owner’s manual for a more specific figure. If you’re still wondering when to rotate tires, explore this guide from Chevrolet of Naperville, your Aurora-area service center. A FWD or RWD car will need its tires rotated every 5,000 to 7,500 miles, or as recommended in the owner’s manual. Performing a FWD tire rotation yourself? When you move the rear tires to the front, be sure to flip sides. For example, the rear left tire will go on the front right – but when you move the front tires back, keep them on the same side. For a RWD car, simply flip the process. Move the front tires directly back, then move the back tires forward and switch sides. If you regularly drive on rough roads, you may want to rotate your tires more quickly. 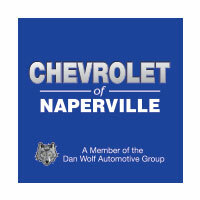 Visit Chevrolet of Naperville near Bolingbrook to develop a custom maintenance plan that suits your needs. If you’re wondering how many miles to rotate tires on an AWD Model, Chevrolet of Naperville has you covered. Since tires on all-wheel drive vehicles wear differently, many experts recommend rotating them every 3,000 to 5,000 miles. Again, you’ll want to check your owner’s manual for specific vehicle recommendations. If you’re not sure how long it’s been since your last tire rotation, you can always schedule service at Chevrolet of Naperville. We’ll check tread wear differences to see if it’s time for a rotation. Most tires require rotation once the tread variance is over 2/32 of an inch. If you want your car to better handle sudden storms in Romeoville, make sure to add tire rotations to your maintenance plan. However, even well-cared-for tires do need to be replaced sometimes, and our parts department is here if that’s the case. For more information about caring for your tires, contact Chevrolet of Naperville today. Our highly trained service associates are ready to answer your questions.